2. Romeo ASARA: Machine operator, born in Milan on 23 February 1896. Sent to the Collefiorito concentration camp and then, in December 1940, to the oManfredonia camp. On his release, he returned to Milan and in the wake of 8 September 1943 dropped out of sight. He took part in the Resistance and was arrested twice, tortured and shipped off to Germany. Having given his tormentors the slip, he rejoined the partisans. Died in Milan on 23 December 1957. 3. Pietro AURELI: Labourer and fisherman born in Montelupo Fiorentino (Florence) on 28 September 1905. On his return from the Spanish Civil War on 6 February 1939, he was sent to the Roussillon camp (France). By March 1940 he was still a prisoner, in the camp at Gurs and that April was conscripted into a Foreign Labour Company assigned to building fortifications along the French-Belgian border. That May, he was recorded as being in the Moulin de Torpac, Noordpeene camp near Saint Omer de Calais, as part of the 235th Foreign Labour Company and by June had been caught by the German army in Dunkirk. Placed in the former military hospital in Reims, converted for use as a concentration camp, he was then handed over that December to the French authorities and then, in July 1941, was reported as being in the Guérigny (Nièvre department) camp and was later deported to Germany where he was held until 1945. Place and date of death not known. 4. Gino BALESTRI: Bricklayer, born in Bologna on 1 November 1901. When the Spanish Civil War ended, he re-entered France. With the outbreak of the Second World War, he was arrested by the Germans and deported to a labour camp in Lublin, Poland. He successfully escaped in 1943 and made his way back to France where he took part in the French Resistance in the Arcachon area. Died in Aubagne on 5 July 1983. 5. Luigi BALLARIN: Workman. Born in Minas Gerais (Brazil) on 5 February 1899. Returning from the Spanish Civil War, he entered France. In May 1943, he decided to return to Brazil, but, his name being registered in the “Border Watch List”, he was arrested at the Bardonecchia crossing point and then taken to the prison in Rovigo. The prosecution asked for him to be placed in a concentration camp for the duration of the war as a dangerous individual, and that August he was sentenced to three years’ internment on Tremiti, but was held in the Ancona remand prison because the islands had been occupied by Allied troops. In the wake of an air raid on the prison, he escaped to rejoin his family in Adria where he assisted British and American escaped POWs to get out to Yugoslavia and even hid some of them in his home; as a result, he received a certificate of merit from the Supreme Command of Allied Forces in the Mediterranean. In May 1944, he joined the “Martello Brigade”, part of the Corpo Volontari della Libertà (Freedom Volunteers Corps) operating in the Adria area and then, under the nom de guerre Gigi, took part in partisan activities in Venaria Reale. 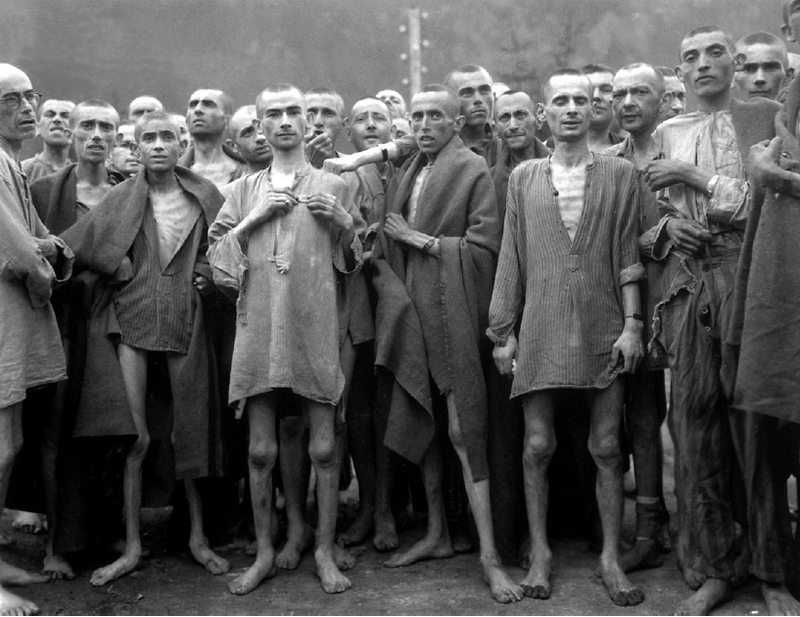 Captured by the Nazis, he was shipped off to Dachau. After the Liberation and the end of the war, he returned to Adria. Died in Paris on 7 February 1948. 6. Eugenio BARDINI: Quarryman, born in Torano (Massa) in 1921. Commonly known as Sodo, he was deported to Germany during the Second World War. On his return to Italy, he returned to his post in the libertarian movement as a member of the “E. 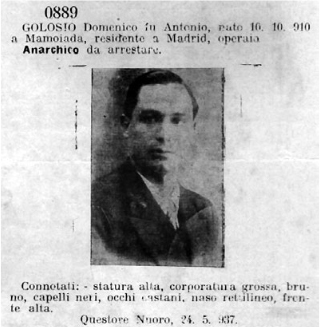 Malatesta” anarchist group in Torano and member of the USI. Died in Torano on 23 June 1996. 7. Giuseppe BATISTINI: Stone-cutter and electrician born in Volterra (Pisa) on 28 March 1903. In 1939, when the Spanish Civil War ended, he was interned in the Gurs camp and police correspondence after 1942 reports him as being a prisoner in Germany, where his trail runs cold. Place and date of death unknown. 8. 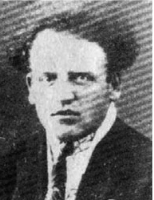 Carlo BENUSSI: Barber born in Zara on 25 October 1883. Back in France from the Spanish Civil War, he was interned in Argelès-sur-Mer and in Gurs. Repatriated, he was then sentenced to be interned on Ventotene. 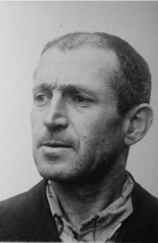 After his release, he was arrested in Trieste and deported to Dachau on 23 June 1944. Prisoner No 74502, classed as “Schutz” (preventive detention). Died in Dachau on 12 February 1945. 9. Gino BIANCHEDI: Born in Rome, 13 November 1899, electrician. Arrested by the Nazis during a dragnet operation (rastrellamento) on 26 December 1943. On 5 January 1944 he was loaded on to a train bound for Germany (Transport No 16) along with many other Roman anarchists, including A. Bianchini, R. Lotti, G. Cimaroli, G. De Giuli, B. Di Flavio, A. Di Giacomo, G. Gallinella. Precise date and place of death not known. 10. Adolfo BIANCHINI: Born in Castiglione in Teverina (Veneto) 19 November 1902 or 1907 (? ), stucco plasterer. Arrested by the Nazis during a rastrellamento on 26 December 1943. On 5 January 1944 he was loaded on to a train bound for Germany (Transport No 16) along with other Roman anarchists, including G. Bianchedi, R. Lotti, G. De Giuli, B. Di Flavio, A. Di Giacomo, G. Gallinella,. He was transferred to Gusen (Mauthausen) and then back to Mauthausen proper and finally to Solvay-Ebensee (Mauthausen). Prisoner No 42003. Categorized as Pol(itical). Died in Ebensee (Mauthausen) 5 May 1945. 11. Arturo BIDOLI: Born in Trieste 23 July 1900. Bricklayer and hod-carrier. On his return from the Spanish Civil War he was arrested by the Germans on a date unknown and deported to Germany to an unidentified location. Place and date of death not known. 12. Giovanni BIDOLI: Born in Banne (Trieste) on 26 April 1902 or 26 May 1902, shop assistant. A partisan operating in Venezia Giulia, he was captured by the Nazis in June 1944 (according to the testimony of Umberto Tommasini, in A Rivista Anarchica of April 1973) and was transferred to Dachau, arriving there on 23 June 1944 before being moved on to Flossenbürg on 21 July 1944; from there he was eventually moved to the sub-camp in Zwickau (Flossenbürg) on 30 October 1944. Prisoner No 74499 and then 12998. Classified as Schutz. Died in Germany on a date unknown, sometime after the autumn of 1944. 13. Pietro BIGATTI: Born in Sampiederena (Genoa) on 31 August 1895, workman. Arrested in Genoa in August 1944 by the SS, he was deported to Germany, to Flossenbürg, arriving there on 7 September 1944. Prisoner No 321431. Later transferred to Hersbrück (Flossenbürg) where he died on 4 December 1944. 14. Lorenzo BODDI: Born in Cavrigloia (Arezzo) on 12 January 1897, miner. As an activist during the ‘Red Biennium’ he served on the propaganda commission of the Valdarno Anarchist Union. In 1923, he was convicted as an accessory in a 1921 killing related to the incidents in Castelnuovo del Sabbioni and was sentenced to 5 years, 3 months and 1 day in jail. In 1924 he moved abroad, to France, where he was kept under constant surveillance and was listed as a communist, being on the “Border Watch List”. He took part in the Spanish Civil War and on his return to France he was interned in the Le Vernet camp. Under the Nazi Occupation of France, he was arrested and deported to an unspecified concentration camp. He died in San Giovanni Valdarno in November 1947. On hearing of Boddi’s death, the Italian militants living in Arles (France) decided to call their local group after him. 15. Giuseppe BOLDRINI: Born in the Cicognara district of Viadana (Mantua) on 20 November 1894, labourer. Deported on 21 June 1944 with another 474 prisoners, he arrived in Mauthausen sometime between 24 and 27 June 1944. Transferred to Wiener Neustadt (Mauthausen), he was then moved on to Wien Floridsdorf (Mauthausen). Prisoner Number 76258. Classified as Schutz. Died in Mauthausen on 17 February 1945. 16. Antonio BONO: Born in Busca (Cuneo) on 17 or 23 February 1894, labourer and bricklayer. Classified by the fascist police as ‘a dangerous subversive’, his name was added to the ‘Border Watch List’. On his return from the Spanish Civil War, he was captured by the Nazis in France and then, on 6 August 1941, was deported to Mauthausen. Prisoner No 10584. He was later moved to the Gusen sub-camp (Mauthausen) and thence to Dachau where he died on 2 September 1941. 17. Spartaco BORGHI: Born in Imola (Bologna) in 1919, he was an elementary school teacher. He had his first grounding in political culture from his family with its libertarian traditions. On the outbreak of the Second World War, he was called up as an infantry lieutenant and posted to Albania. Come the collapse of fascism in July 1943, he and his unit joined forces with Enver Hoxha’s communist partisans. Captured by the Germans in November 1943, he was deported, with the classification IMI, like many other Italian servicemen, to Germany. He was freed at the end of the Second World War. Having made his way home on foot, he took part in the libertarian movement’s activities after the war. Died in Imola on 6 May 2004. 18. Emmerico aka Amerigo BOSO: Born in Castello Tesino (Trento) on 22 or 28 August 1904, labourer and electrician. On record with and under surveillance by the fascist police as a dangerous individual in the summer of 1936 he set off to defend the Spanish republic, enlisting with the Italian Section of the CNT-FAI’s “Ascaso” Column and served on the Huesca front. On his return to Italy in 1940, he was banished to Ventotene. He was later held in a number of prisons in the Trentino and was then moved to Bolzano and finally, in November 1944, to Mauthausen. Prisoner No 119443. Classified as Schutz. He died in Gusen (Mauthausen) 18 March 1945. 19. 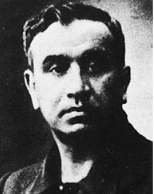 Guglielmo BRAVO: Born in Verona on 22 January 1896, clerical worker. Active in the USI’s Camera del Lavoro after the First World War and in the anarchist workers’ group in the Veronetta district, he then went on to join the Communist Party. He served on the second CLN (National Liberation Committee) (his contribution here extended to funding – he owned a shoe-store) which operated between October 1943 and July 1944, involved in the publication and distribution of propaganda materials and in organising antifascist activities. Arrested in Verona, he was deported to Flossenbürg on 7 September 1944, prisoner No 21671. He was later transferred to Hersbruck (Flossenbürg) where he died some time between 16 and 23 November 1944. There is a street in the Borgo Milano quarter of Verona called after him. 20. Federico BRINO: Born in Turin, 14 March 1892, labourer. Captured as a partisan by the Nazis on 11 March 1944 and dispatched, first to Mauthausen, and then moved to Gusen (Mauthausen). May also have passed through Dachau? Executed along with another 472 prisoners punished for the revolt of 22-25 April 1945. Prisoner No 58749. Died in Mauthausen on 24 Aril 1945. 21. Oreste BUZZOLINO: Born in La Spezia, 7 November 1891 or 1893, labourer and foundry worker. After the fascist regime collapsed in 1943, he joined the Resistance and was arrested in his native city on 1 March 1944, charged with having orchestrated the strike at the Bargiacchi Works. Arrested near the Villa Andreino prison in La Spezia, he was then moved to Genoa’s Marassi prison and finally to Bergamo. Arrived in Mauthausen on 8 April 1944. Prisoner No 61587. Classified as Schutz. Transferred several times to Gusen (Mauthausen) and then to Mauthausen proper and later to Auschwitz and finally back to Mauthausen where he died on 18 April 1945. 22. Antonio aka Tonino CALAMASSI: Labourer, docker and confectioner born in Massa Maritima (Grosseto) on 26 June 1908. Like many another worker from the area, he moved to Turin at the beginning of the 1930s in search of work. Coming into contact with a group of anarchist antifascists from Tuscany, he left the country in 1936 to go to Spain where he fought in the Italian (Ascaso) Column, seeing action in the battle of Almudévar. His name was added to the ‘Border Watch List’ and his details included in the ‘Bulletin of Wanted Persons’. In 1937, back from the Spanish Civil War, he re-entered France and settled in Marseilles, from where he was expelled, but, thanks to the LIDU’s lobbying on his behalf, this expulsion order was overturned. In 1940, after serving three months in French jails for no plausible reason, he approached the Italian consulate in Marseilles and signed a ‘deed of reconciliation’ with fascism, which enabled him to return to Italy without further bother. He was then called up and stood down the following year and returned to Turin. Arrested by the Germans between late May and early June 1944, he was deported to Germany, arriving in Dachau on 14 June 1944. Prisoner No 70257. Classified as Schutz. Died in Turin in October 1953 and his “comrades” wrote in his obituary that he “came back [from Germany] with the affliction that sent him to his grave” (See the obituary in L’Impulso of 15 November 1953). 23. Giovanni CALDERARA: Born in Cossogno (Novara) 15 September 1897, bricklayer. On his return from the Spanish Civil War, he was interned in a number of camps such as Argelès-sur-Mer and, later, Gurs (France). Arrested in France by the Germans, he was then deported to Germany to a location unidentified. Place and date of death not known. 24. Aurelio CANALE: Born in Genoa on 19 November 1909, carter and docker. Antifascist activist and, some say, anarchist from March 1936, political exile in France. On 18 October 1936, he left Marseilles for Spain where he enlisted with the Dimitrov Battalion of the XV International Brigade, before going on to serve with the XII International Brigade. When the Spanish Civil War was over, he returned to France where he was interned in the Argelès-sur-Mer camp where he joined the ‘Libertà o Morte’ (Freedom or Death) Italian anarchist group. Later he was transferred to the Gurs internment camp. 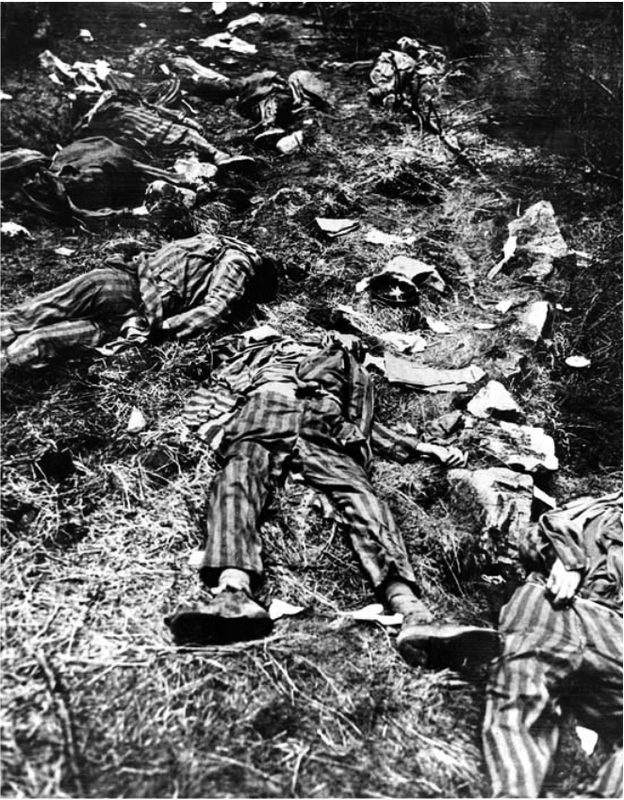 After France was occupied by the Germany army, he was arrested by the Nazi police and shipped off to the Gusen (Mauthausen) concentration camp where he died on 10 January 1941 or 1942. 25. Emilio CANZI: Born in Piacenza on 14 March 1893, clerical worker. On his return from the Spanish Civil War he was arrested by the German police on 26 October 1940 and after spending three months behind bars in Paris and in Triers, he was sent to the Hinzert concentration camp located close to the town of Hinzert-Pölert, not far from Triers (Germany). In March 1942 he was brought back to Italy where he received a five-year internment order and was banished to the island of Ventotene. Come the collapse of fascism, he, like lots of other anarchists, was not freed but was dispatched to the Renicci d’Anghiari concentration camp (Arezzo) from which he successfully escaped only after 8 September 1943. On arrival in Piacenza he took to the mountains, to Peli di Coli and promoted the launching of the first partisan column in the province. He also had a hand in setting up the provincial CLN. He was later appointed commander of the XIII Zone, using the nom de guerre Ezio Franchi. He died as a result of a traffic accident. Run down by a British Army lorry on 2 October 1945, he had a leg amputated, but succumbed to broncho-pneumonia in Piacenza hospital on 17 October 1945. 26. Natalino CAPECCHI: Born in Castelnuovo Bormida (Alessandria) on 21 December 1920, labourer. 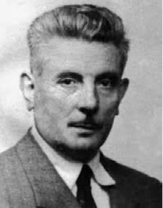 Active within the Ligurian Libertarian Communist Federation, he was arrested on 19 August 1944 in the wake of a dragnet operation (rastrellamento). He was jailed in the Casa dello Studente before being deported to Germany where he died on 30 April 1945. 27. Steglio CASATI: Born in Quiliano (Savona) on 25 December 1921, mechanic. Commonly known as Stelio, he happened to be in Gorizia on 8 September 1943, working as an expert aviator and driver. 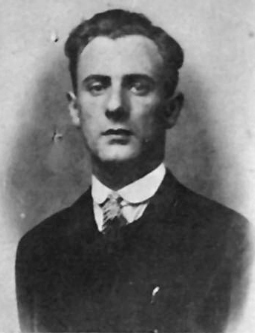 When news of the armistice broke and in light of the confusion and the breakdown of military command, Casati tried to get back to Savona but was arrested in the railway station on 12 September and deported to Jena (Germany). Like many other Italian servicemen, he refused to join the [fascist-run and German-allied] Salò Republic and was sent to a work camp. He made several attempts to escape and in the last one, orchestrated with some fellow unfortunates, he pulled it off. He returned to Savona shortly before the Liberation in April 1945. In the aftermath of the Second World War, being “anarchist by instinct and education” he took part in the activities of the ‘P. Gori’ anarchist group in Savona “distinguishing himself particularly in the organising of antifascist vigilance squads in Savona at the time of the fascist outrages between 9 November and 25 December 1974. Died in that Ligurian city on 28 May 1976. 28. Antonio or Guglielmo CASTELLO: Born in Sestri Ponente (Genoa) on 19 October 1891 (some say he was born on 3 January 1891), labourer. Arrested on 29 July 1944 and deported to Germany, to Flossenbürg, where he arrived on 7 September 1944. Prisoner No 21433. Died in Flossenbürg on 22 December 1944. 29. Oreste aka Gino CECCARINI: Born in Livorno on 20 March 1910, labourer. Arrested in Fucecchio on March 1944 by the [Salò Republic’s] Republican National Guard, he was held in the Scuole Leopoldine in Florence. He was then transferred to Mauthausen on 11 March 1944 and classified as Schutz. Prisoner No 57036. He was later moved to Zemet-Ebensee (Mauthausen) and then to Mauthausen proper, dying there on 24 or 26 June 1944. 30. Guido CIMAROLI: Born in Amatrice (Rieti) on 27 February 1888, stucco plasterer. Arrested by the Nazis during a dragnet operation on 26 December 1943. On 5 January 1944, he was shipped off to Germany (Transport No 16), together with 11 Roman anarchists, including A. Bianchini, R. Lotti, G. Bianchedi, G. De Giuli, B. Di Flavio, A. D Giacomo, G. Gallinella. He reached Mauthausen on 13 January 1944. He was then transferred to Gusen (Mauthausen) and then back to Mauthausen proper. Prisoner No 42038. Classified as a category Pol prisoner. Died in Mauthausen on 17 May 1944. 31. Mario COLANDRO: Born in Sestri Ponente (Genoa) on 25 June 1902, labourer. Arrested by the SS in Genoa, he was deported to Germany, to Dachau, arriving there on 20 January 1944. Prisoner No 61951, classified as a Schutz prisoner. Shot in Dachau on 15 January 1045, although other sources state that he died there on 24 February 1945. 32. Mario COLOMBARINI: Born in Bologna on 17 March 1923, fitter. During the war, he served in the Italian navy and in 1943 was captured by the Germans and dispatched, together with an IMI file, to the Witten labour camp in Germany. In the autumn of 1945 he returned to Turin where he started working again as a precision mechanic and charge hand at the FIAT railway works. He came over to the libertarian movement in the immediate post-war years. A member of the CGIL, in March 1954 he served on the FIOM [Italian Metal-Mechanical Workers’ Federation] National Council. In the 1960s and 1970s he drifted away from politics but stuck with the union. Died in Turn on 28 October 1989. 33. 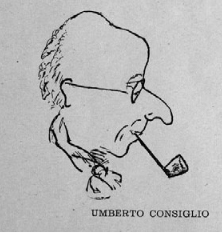 Umberto CONSIGLIO: Born in Siracusa (Sicily) on 28 March 1889, accountant. Come the outbreak of the Second World War, he volunteered for service in the French army. Demobbed in the wake of the defeat, he took to the countryside but was caught by the Vichy police and handed over to the Gestapo. Brought to the Dachau death camp near Munich, he successfully and miraculously avoided death and made his way back to France after the Liberation. Died in Bologna on 22 May 1964. 34. Anita DAMONTI:Born in Brescia in 1912, daughter of the anarchist Angelo Damonti (1886-1966) she was remembered by Umanità Nova (Milan Libertarian Group, ‘Losses, Ours and Antifascism’s’ in Umanità Nova of 14-21 August 1960) as returning from the Spanish Civil War as a libertarian exile, alongside her father and as a partisan “arrested and jailed, she was beaten and tortured: and along with her husband, was deported to Auschwitz; there she lost her partner, an antifascist fighter like herself”. She died in Milan in 1960 as a result of an “illness contracted in prison and exacerbated in the death camps”. 35. Giulio DE GIULI: Born in Rome on 23 or 26 October 1907, butcher. Arrested by the Nazis during a dragnet operation on 26 December 1943, on 5 January 1944 he was loaded on to a train bound for Germany (Transport No 16), as were other Roman anarchists, including A. Bianchini, R. Lotti, G. Cimaroli, G. Bianchedi, B. Di Flavio, A. Di Giacomo and G. Gallinella. He arrived in Mauthausen on 13 January 1944. He was then moved to Solvay-Ebensee (Mauthausen). Prisoner No 42104. Classified as a category Pol prisoner. Liberated by Allied troops on 5 May 1945. Place and date of death not known. 36. Giovanni, known as Vigiu DEL BEN: Born in Porcia (Udine) on 10 or 20 January 1901, labourer. At the end of the 1930s he was working in the FIAT Rail Works where he came into contact with other “subversives”, as a result of which he was investigated and persecuted. At the beginning of March 1944, he was arrested, arriving in Mauthausen on 11 March 1944. Prisoner No 56948. Classified as Schutz. He was later moved to the Zemet-Ebensee (Mauthausen) sub-camp where he died on 24 May 1944. 37. Ferruccio DE PAOLI: Born in Verona on 28 February 1897, mechanic and decorator. Following the Fist World War, he was active in the ranks of the Verona anarchists and in 1925 signed up for ‘Italia Libera’. Kept under surveillance by the fascists, after 8 September 1943 he took part in resistance activity in the lower Monte Baldo district on Lake Garda, where he had his home and he was in touch was Giovanni Domaschi. Arrested by the Republican National Guard [of Salò] in Torri del Benaco on 17 July 1944, he met up with other members of the second city CLN who were also under arrest, was tortured and thereafter deported. He was deported to Flossenbürg. Prisoner No 21604 and then 108696. Classified as Schutz. He was moved to Mauthausen between 23 and 25 October 1944 and was then imprisoned in Gusen (Mauthausen) where he died on 4 April 1945. There is a lakeside pier in Torri de Benaco named after him. 38. Antonio Andrea DETTORI: Born in Bonorva (Sassari)on 30 November 1892, electrician. 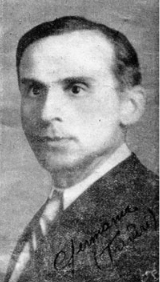 When the fascist regime collapsed in 1943, he, along with Umberto Raspi, was one of the main organisers of the libertarian action squads in Ponente in Genoa. He was arrested on a tip-off on 19 August 1944 along with others and jailed and subjected to harsh interrogation and tortured. 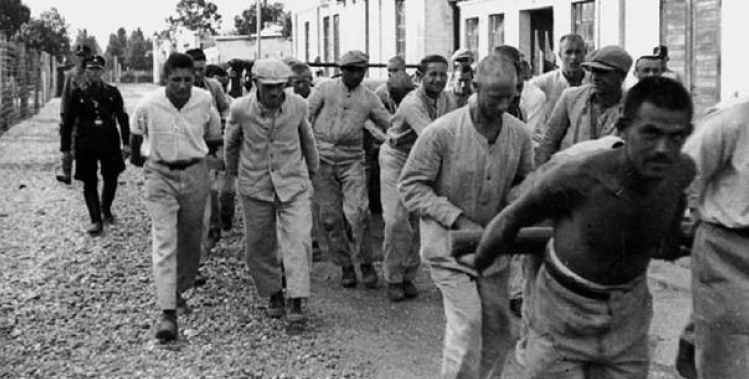 On 26 September he and another 68o prisoners were deported to the Bolzano concentration camp (Italy). On 5 October, (on Transport No 90) he was moved to Germany and after a three-day journey, reached Dachau on 10 October along with Raspi and many another companion in misadventure. After 26 October he was transferred and on 28 October arrived in Buchenwald, but was left on his own for a few hours so that he and another sizable batch of deportees could be transferred on to the convict labour camp near Bad Gandersheim where he arrived sometime between 30 and 31 October 1944.I early April 1945 Dettori and a group of fellow deportees successfully escaped from the camp, only to be recaptured a few days later and to witness the shooting of a number of his countrymen. The SS forced him and lots of other deportees to trek several tens of kilometres in the direction of the town of Aschersleben in Saxony, and it was near there that he regained his freedom on 19 April 1945 when Allied troops showed up. Prisoner No 113281 and later 94450. Classification Pol. Died in Genoa on 24 April 1963. 39. Bernardino DI FLAVIO: Born in Pescolanciano (Isernia) on 13 April 1894, labourer. Arrested by the Nazis during a dragnet operation on 26 December 1943; on 5 January 1944, he was loaded on to a train bound for Germany (Transport No 16). Along with him there were other Roman anarchists, including A. Bianchini, R. Lotti, G. Cimaroli, G. de Giuli, G. Bianchedi, A. Di Giacomo and G. Gallinella. Place and date of death not known. 40. Alberto DI GIACOMO: Born in Maglione (Perugia) on 8 January 1886, labourer. Arrested by the Nazis during a dragnet operation on 26 December 1943. On 5 January 1944, he was loaded on to a train bound for Germany (Transport No 16) along with other Roman anarchists, including A. Bianchini, R. Lotti, G. Cimaroli, G. De Giuli, B. Di Flavio, G.. Bianchedi and G. Gallinella. Arrived in Mauthausen on 13 January 1944. Moved to Zemet-Ebensee (Mauthausen). Prisoner No 42101. Classified Pol. Transferred back to Mauthausen proper and died in Erholungsheim-Hartheim (Mauthausen) on 15 September 1944. 41. Angelo DIOTALLEVI: Born in Rome on 13 March 1890, mechanic, salesman and painter. With his activism dating back to the ‘Red Biennium’, in 1923 he left Italy to escape fascist persecution. In France he kept up his political activities and in the summer of 1936 headed off to Spain to defend republican Spain, enlisting with the Italian Section of the CNT-FAI’s “Ascaso” Column. Re-entered France at the end of the Spanish Civil War, and, in the autumn of 1940, was arrested in Marseilles by the Germans acting on a tip-off from the fascist police. Transferred to Germany, to a concentration camp near the Moselle river, he was extradited to Italy on 10 March 1942; he was sentenced to banishment (to the Tremiti Islands) for five years; he was released in September 1943, making his way directly back to Rome, only to be placed under close surveillance again. Place and date of death not known. 42. Giovanni DOMASCHI: Born in Verona on 30 December 1891, mechanic. 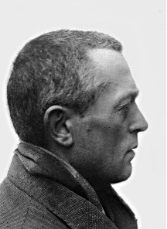 He was active even prior to the First World War and later in the Camera del Lavoro (Chamber of Labour), the USI trade union and in the workers’ anarchist group in the Veronetta quarter; he was arrested in 1926 and spent the entirety of the remainder of the 20 years of fascist rule either in prison or in banishment, with several escape attempts. Moved from Tremiti to Renicci d’Anghiari camp, he managed to make his way back to Verona after 8 September 1943. He took part in the Resistance and served on the city’s second CLN. Arrested by the Republican National Guard on 28 June 1944, he was tortured and held with other CLN members in the Scalzi prison before being moved to Bolzano and deported to Flossenbürg (Transport No 81), arriving there on 7 September 1944. He was then moved on to Kottern-Weidach (Dachau) from 7 to 10 October 1944. Prisoner No 21762 and later 116381. Classified Schutz. He died in Dachau on 23 February 1945. There is a street called after him in the Porto San Pancrazio quarter of Verona. 43. Ezio DONATI: Born in Parma on 23 June 1903, glazier. On his return from the Spanish Civil War he was arrested by the Nazis. Acting on information received from the German authorities, the Italian Embassy in Berlin referred to his being allegedly “a civilian inmate of the concentration camp in Mauthausen”. It should be added, however, that his name does not appear in of the official lists of inmates of the camp that are currently accessible. He died in Gusen (Mauthausen) on 21 January 1942. 44. Achille DURIGON: Born in Pordenone on 3 April 1913, journeyman labourer. On his return from the Spanish Civil War where he had fought as part of the 1st Company of the Garibaldi Battalion, he was arrested in France when the Second World War broke out and taken back to Italy, where he was sentenced in 1941 to five years; banishment, part of which sentence he served in Ventotene. On his release in August 1943, he returned to Pordenone. There he helped set up the very first partisan organisations in the town. In the spring of 1944, he was arrested by the Germans and sent to a prison camp in Monaco up until the end of the war. He died in Paris on 3 November 1990. 45. 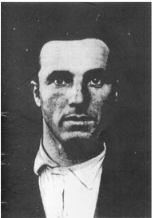 Vito FORNARI: Anarchist native of Cesena who was deported to Germany during the Second World War; he survived but his health was grievously damaged. He died in a sanatorium in Modena in the spring of 1949. 46. Savino FORNASARI: Born in Mortizza (Piacenza) on 21 January 18823, railwayman. Arrested in Paris by the Nazi police on 17 November 1940. After sixteen months served, first, in prison in France and then in the Hinzert concentration camp near the town of Hinzert-Pölert, close to Trier (Germany), he was handed over in March 1942 to the Italian authorities who sentenced him to two years’ banishment to be served on Ventotene. On returning to Piacenza in 1943 he played no active part in the Resistance due to his precarious health, aggravated by the time he had spent in a concentration camp. He died in Piacenza on 16 September 1946. 47. Egidio FOSSI: Born in Fiesole (Florence) on 1 December 1891, labourer. On his return from the Spanish Civil war he was interned in the camp at Gurs (France). Captured by the Germans, and injured in one wrist in the station in Bredume during an air raid, he recovered in Bruges and then, in January 1941, he and other Italian antifascists were jailed in the former hospital in Reims, converted for use as a concentration camp. Shipped off to Germany, he was held in the transit prison in Trier, after which, on 25 June 1941, he, together with Diotallevi was moved on to the Sonderlager Hinzert SS camp. On 9 March 1942, he was handed over to the Italian authorities. He died in Piombino on 5 February 1969. 48. Salvatore GAGLIANI: Born in Portici (Naples) on 29 February 1904, labourer. Deported to Germany and on to Auschwitz. Died in Turin on 11 December 1990. 49. Francesco GALEOTTI: Born in Cortona (Arezzo) on 20 January 1889, type-setter. On file and under surveillance as an anarchist from the years right before the First World War, he moved asway to Rome where he played an active part in the libertarian movements in the 1920s. He was arrested in Rome by the Nazis during the 26 December 1943 dragnet operation and deported to Mauthausen, arriving there on 13 January 1944. Prisoner No 42097. Classified Schutz. He was moved several times to a range of Mauthausen sub-camps and finally to Erholungheim-Hartheim, where he died on 28 July 1944. 50. Giovanni GALLINELLA: Born in Rome on 14 March 1903, foundryman. He was arrested by the Nazis during the 26 December 1943 dragnet operation. On 5 January 1944, he was loaded on to a train bound for Germany (Transport No 16) along with other Roman anarchists including A Bianchini, R Lotti, G Cimaroli, G De Giuli, B Di Flavio, G Bianchedi, A Di Giacomo and F Galeotti. He arrived in Mauthausen on 13 January 1944. He was moved to Schwechat-Floridsdorf (Mauthausen) and then back to Mauthausen proper. Prisoner No 42098. Classification Pol. He died in Mauthausen in the early months of 1945. 51. 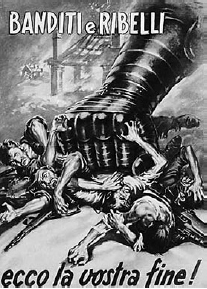 Aldo GAVARDI: Born in Colorno (Parma) on 23 October 1897; sawyer, boiler-maker and mechanic. In 1922 he moved to France for political reasons but was kept under close surveillance by the police. His name was added to the ‘Border Watch List’ and he was on file as both a communist and an anarchist. A few months after the civil war broke out he left for Spain, enlisting with the Garibaldi Battalion and later the International Artillery. Wounded in Arganda, he enjoyed some leave in France and then, in February 1938 he returned to Spain. He fought in the battle of the Ebro as part of the Matteotti battery. When that war ended he made his way back to France (February 1938) where he was interned in the camps in St. Cyprien, Argelès-sur-Mer and Gurs. During the German Occupation, he was arrested and deported to Germany where he remained up until the Liberation in May 1945. Place and date of death not known. 52. Arrigo GAVIOLI: Born in Bondeno (Ferrara) on 19 December 1902, turner, labourer and machine-operator. In the 1920s he emigrated to France but he was under constant surveillance and listed in the ‘Border Watch List’. He was arrested in Lyon by the Germans. He arrived in Buchenwald on 19 January 1944. Prisoner No 40074. Classification: Pol. He was transferred to Dora on 10 February, arriving there on 11 February 1944. On 28 February 1945, he died of mistreatment inflicted upon him two weeks after his arrival in Dora. 53. Alvaro or Albaro GHIARA: Born in La Spezia on 17 December 1902, seaman. On returning from the Spanish Civil War he was interned in the camps in Argelès-sur-Mer and Gurs. He was arrested in France by the Germans and deported to Mauthausen on 25 January 1941 and was liberated by the Americans in My 1945.Prisoner No 3723. Place and date of death not known. 54. Giuseppe GIORLANDO: Born in Grammichele (Catania) on 20 December 1900, barber. On 28 October 1940, he was arrested in France by the German Occupation authorities on a tip-off from the Italian consul. He was shipped off to Germany, first to a prison in Trier and then to the Hinzert concentration camp where he was assigned to perform hard labour. On 9 March 1942 he was handed over to the police at the Brenner border crossing along with other Italian anarchists who had finished up in German hands. He died in Grammichele on 20 February 1967. 55. 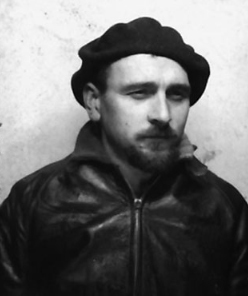 Domenico GOLOSIO: Born in Mamoiada (Nuoro) on 10 October 1910, labourer. On returning from the Spanish Civil War he was interned in the Argelès-sur-Mer and Gurs camps in France Arrested in France by the Germans, he was subjected to torture before eventually being deported to Germany to a place unidentified. Place and date of death not known. 56. 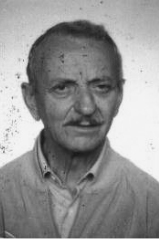 Giorgio GORI* (see below): Born in Pistoia on 27 May 1924, labourer. An anarchist, he took part in the Resistance as part of the ‘Gino Bozzi’ Garibaldi Brigade operating in the Tuscan-Emilian Appennines between Pistoia and Bologna. Arrested in Pistoia on 18 April 1944, he was taken to the prison in Parma. On 6 June, he was transferred to the Fossoli camp, first, and then deported to Mauthausen, arriving there some time between 24 and 27 June. Prisoner No 76371. Classified as a category Schutz prisoner. He was later moved to a number of sub-camps – Grossraming, Schiler-Redl-Zipf and then to Zemet-Ebensee, where he died on 6 June 1945, after the war had ended. 57. Spartaco GRAFFIONI or GRAFFIONE: Born in Genoa on 21 May 1924, farrier. A partisan with the GAP (Patriotic Action Groups), he managed to avoid arrest on three occasions but, in the end, he was captured and press-ganged into joining the X MAS. He deserted after a week, only to be rearrested and incarcerated in the notorious Casa dello Studente, the SS headquarters and there he was tortured. Transferred to Marassi prison, he was then deported to Mauthausen, arriving there on 19 December 1944. Prisoner No 113996, classified as Schutz. Fred by the Allies in April 1945, he returned to Genoa and carried on being active within the libertarian movement. Died in Genoa on 31 May 1947. 58. Rino GRAZIANI: Born in Lugo (Ravenna) on 5 January 1904, waiter and workman. On his return from the Spanish Civil War he was interned in Argelès-sur-Mer and then in Gurs. When France was occupied by Nazi troops, he was arrested and deported to Germany. He perished in Mauthausen on 7 May 1941. 59. Giulio GUERRINI: Born in Rome on 1 January 1893 or 1895, carpenter. Arrived in Flossenbürg on 23 January 1945 and was then sent to Porschdorf (Flossenbürg) on 3 February 1945. Prisoner No 43645. Classed as category Pol. He was then transferred to Czechoslovakia (today’s Czech Republic) where he died in the hospital in Leitmeritz (or Litoměřice) on 5 May 1945. 60. Guido LIONELLO: Born in Chioggia (Venice)on 16 November 1901, labourer and seaman. Survived the Spanish Civil War. Arrested and deported to Dachau on 10 December 1943. Prisoner No 60057. Classed as category Schutz prisoner. Died in Dachau on 22 May 1945. 61. Angelo LONGO: Born in Polistena (Reggio Calabria) on 18 April 1898, shepherd. 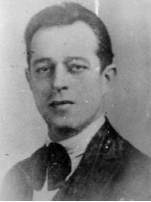 Brother of fellow anarchist Vincenzo Longo, he fought in Spain. On the files of the French police as a communist. On his return from the civil war in Spain he returned to France and was arrested during the Second World War and, as is stated in a letter subsequently sent from Germany, was interned in a German lager. Place and date of death not known. 62. Raffaele LOTTI: Born in Civita di Castellana (Viterbo) on 15 February 1884; baker, workman and bricklayer. Arrested during the 26 December 1943 dragnet operation. On 5 January 1944, he was loaded on to a train (Transport No. 16) bound for Germany along with many other Roman anarchists including A. Bianchini, G. Bianchedi, G. Cimaroli, G. De Giuli, B. Di Flavio, A. Di Giacomo and G. Gallinella. Arrived in Mauthausen on 13 January 1944. Prisoner No 42128. Category Schutz prisoner. Died in Erholungsheim-Hartheim (Mauthausen) on 15 July 1944. 63. 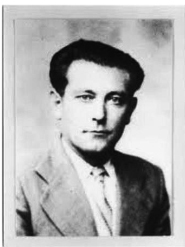 Falendro Giuseppe LUPI: Born in Livorno in 1915, labourer. 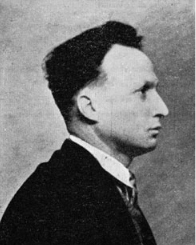 Son of the anarchist Augusto Lupi from Livorno, he shared his father’s anarchist ideals and defied the draft in 1935, going into exile in France. He was arrested by the Germans and dispatched to a concentration camp in Germany. Place and date of death not known. 64. Alfredo LUSVARDI:Born in Modena on 3 September 1900, blacksmith and bricklayer. Arrested by the French police and handed over to the Germans in November 1940 along with his brother Filippo. After 3 months in prison in Paris in La Santé and 17 months in a concentration camp in Germany, they were both then handed over to the Italian authorities. Place and date of death not known. 65. Filippo LUSVARDI: Born in Modena on 15 May 1899, electrician and bricklayer. On his return from the Spanish Civil War he was arrested by the French police and handed over to the Germans in November 1940, together with his brother Alfredo. After 3 months in jail in Paris and 17 months in a concentration camp in Germany, they were both handed over to the Italian authorities. Place and date of death not known. 66. Eugenio MAGGI: Born in Genoa on 17 July 1919, skilled worker. Arrested in Sestri (Genoa) on 24 July 1944, he arrived in Flossenburg on 7 September 1944. Transferred to Kottern (Dachau) sometime between 7 and 10 October 1944 and then to Dachau proper on 10 April 1945, he was finally liberated by the American army from Kottern-Weidach. Prisoner No 21436, then 116335. Classed as category Schutz prisoner. Died in Sestri Ponente (Genoa) on 5 December 2003. 67. Antonio MAIRONE: Born in S Germano Vercellese (Vercelli) on 15 February 1900, metal-worker. Arrested by the Germans at the FIAT Grandi Motori plant in the wake of the March 1944 strikes there, he was deported to Germany; he was one of a group of 13 FIAT workers included in Transport No 34 among the 563 people who left Bergamo on 16 March 1944 bound for Mauthausen via Tarvisio, arriving on 20 March 1944. Prisoner No 42294 and then 58954. 68. Armando MALAGUTI: Born in Bologna on 18 September 1897; carpenter, street0hawker and mechanic. On returning from the Spanish Civil War he was arrested and deported to Germany, to a location unknown. In the summer of 1943 he was handed over to the Italian authorities who sentenced him to be interned on Ventotene. He was later committed to the Renicci d’Anghiari concentration camp from which he escaped later to join the Resistance. Died in Bologna on 16 December 1955. 69. 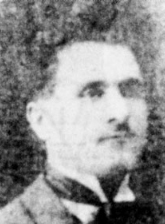 Leonida MASTRODICASA: Born in Ponte Felcino (Perugia) on 23 January 1888, machine operator. Having survived the Spanish Civil War, in 1941 he allowed himself to be caught by the German police in return for the release of his family members and was then deported to Germany along with Giovanna Berneri and other Italian anarchists. Interned in the Hinzert concentration camp near the town of Hinzert-Pölert, not far from Trier, he died of TB, according to police sources, on 20 May 1942 in the Marien-Krakenhaus clinic. 70. Augusto MIONE: Born in Belluno in 1898, building contractor. In the autumn of 1940, he was arrested by the Germans in Marseilles after a tip-off from the fascist police, while in the company of Mastrodicasa, Giovanna Berneri, Angelo Diotallevi and Emilio Canzi; transferred to a location unidentified in Germany. Place and date of death not known. 71. 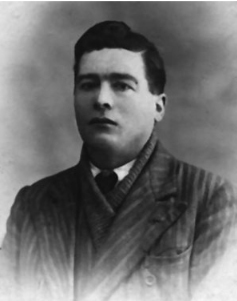 Gaetano or Carlo MONTRESOR: Born in San Pietro in Cariano (Verona)on 16 April 1901, labourer. The outbreak of the Second World War found him in France where he was later captured by the German authorities and deported to the Mauthausen lager where he died, in the Gusen sub-camp on 15 November 1941. 72. Giovanni MONTRUCCHIO: Born in Turin on 11 November 1904, knife-grinder. Arrived in Mauthausen on 14 January 1944. Transferred to Gusen (Mauthausen). Prisoner No 42294. Category Pol. Prisoner. Died in Mauthausen on 18 April 1945. 73. Adamastore MOTTA: Born in Montechiari (Brescia)on 19 August 1900; carpenter and joiner. Veteran of the Spanish Civil War in which he served in the XII ‘Garibaldi’ Brigade, being wounded in the battle of the Ebro. Then interned in the camp in Argelès-sur-Mer (France). He joined the French Foreign Legion and was taken prisoner by the Germans in Dunkirk and was deported to Germany (Mauthausen) where he was killed on 14 August 1941. 74. Primo Corado aka ‘Culon’ MUSETTI: Born in Carrara on 15 November 1902, quarryman. Under the fascists he was repeatedly targeted for attacks and arrest. On 29 August 1944 he was arrested by the Germans and deported to a concentration camp in Austria (Mauthausen, perhaps?). Liberated by American troops in May 1945, he returned to Carrara where he died on 2 January 1989. 75. Adelino PAINI: Born in Parma on 17 May 1888; shoe-maker. A veteran of the Spanish Civil War, he was arrested in France by the German police in July 1941 and sent to the Hinzert concentration camp near the town of Hinzert-Hartheim, a short distance from Trier, where he witnessed the death of Mastrodicasa.On 16 March 1942 he was handed over to the Italian police. He was sentenced to five years’ banishment and sent to Ventotene. In July 1943 he was moved to Renicci d’Anghiari from where he successfully escaped in December the same year, making his way back to Parma. He died in Parma on 26 May 1950. 76. Siro Giovenale PARADISI: Born in Castel di Tora (Rieti) on 2 June 1899; tailor. 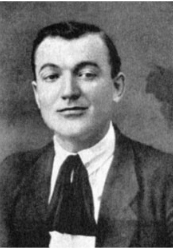 An individualist anarchist – popularly known as Romanino – an antifascist, he emigrated first to England and then to France where he was involved in the libertarian movement’s political activities. In November 1936 he was in Spain, operating as a militia in the republican ranks. Returning from the Spanish Civil War, he re-entered France in 1937 and in October 1940 was arrested by the Germans and deported to Germany. In March 1942, he was handed over to the Italian authorities who interned him on Ventotene. Place and date of death not known. 77. Natale PASSERI: Born in Gaifana (Perugia) on 29 December 1898’ peasant and labourer. After the Germans occupied France, in the summer of 1942, his French citizenship was revoked. In October 1942 he was living in Homécourt (Meurthe-et-Moselle department); he was arrested and taken and interned in Auschwitz where he died, presumably, before that year was out. 78. Giuseppe PASTICCIO: Born in Sestri Levante (Genoa) on 13 March 1908; fisherman. Arrested on 20 August 1944 and deported to the Bayer labour camp, then moved to Lugdivinsawe [Ludwigshafen?] and then to Schait. He managed to escape from the latter and returned to Milan in February 1945. Died in Siderno (Reggio Calabria) on 15 May 1989. 79. Adelmo PEDRINI: Born in Minerbio (Bologna) on 11 August 1888; clerical worker. Upon returning from the Spanish Civil War he was interned in the Le Vernet camp (France). Arrested by the Germans in France on 9 November 1942, he was transferred to Dachau on 28 August 1944. 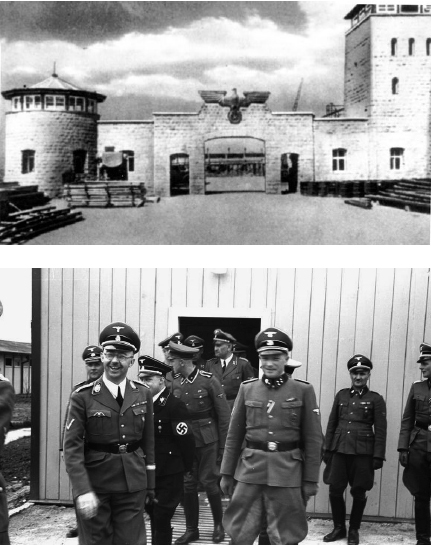 Then he was moved to Mauthausen sometime between 14 and 16 September. Thereafter he was transferred to Quarz-Melk (Mauthausen) before finally being liberated by American troops in Ebensee (Mauthausen). Prisoner No 94261, then 98814. Category Schutz prisoner. Died in 1947. 80. 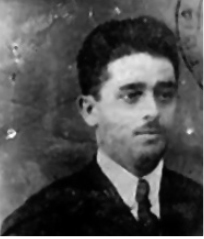 Luigi PEOTTA: Born in Grancona (Vicenza) on 16 May 1901; printing-worker. A former member of the ‘Pollastro Gang’, he was arrested by the Germans and placed in the Fossoli concentration camp (which in all likelihood is where he lost a leg following an air raid). He arrived in Mauthausen sometime between 24 and 27 June 1944. He was transferred to Solvay-Ebensee (Mauthausen) on 24 July 1944. Prisoner No 76668. Category BV prisoner. He died in Ebensee on 2 May 1945. 81. Lebo PIAGNOLI: Born in Sant’Ilario d’Enza (Reggio Emilia) on 6 June 1907; carpenter and joiner. Veteran of the Spanish Civil War, after which he was arrested in France by the German police and deported to Germany to a place unknown, returning to Italy in 1948. Place and date of death not known. 82. Pietro PINTON: Born in Vicenza on 14 September 1903; driver. A veteran of the Spanish Civil War he was arrested in France during the Nazi occupation and was sent to a concentration camp in Germany [which, is not known] from which he was to be liberated by Allied troops at the end of the Second World War. Died in Turin on 8 May 1971. 83. Tullio PISCOPO: Born in Naples on 15 November 1922; student. On 18 September 1943 he was arrested on a tip-off warning of a planned attack on the German command at the Cozzi swimming baths. He was held in in San Vittore and then tried and condemned to death. On 18 February 1944, he was deported to Germany, to Mauthausen, arriving there on 21 February. Prisoner No 53442. Category Schutz prisoner. He was later moved to Gusen-Mauthausen from where he was liberated by Allied troops at the end of the Second World War. He returned to Milan on 15 August 1945 following a lengthy stay in hospital in Constance in Switzerland and in the Bizzozzero hospital Varese province. Died in Milan on 2 January 2005. 84. Rinaldo Lorenzo PONTE: Born in Sestri Ponente Genoa) on 9 May 1902; boiler-maker. A veteran of the Spanish Civil War, he was arrested upon his return to Italy on 3 February 1940 in Ventimiglia. He was cautioned for “suspected collusion in clandestine expatriations” and then released. On 22 October the same year, he was interned in the concentration camp in Fabriano. He was then moved to Ustica and then to Pisticci and finally to Castel di Guido. Granted conditional release in November 1942, he made his way back to Sestri Ponente. He took part in the underground activities of the Ligurian Libertarian Communist Federation and was among the very first gappisti (members of the GAP/Patriotic Action Groups), alongside a sizable bunch of anarchists from Sestri. Arrested, he was then held in the Casa dello Studente in Genoa and tortured. On 24 April 1945, in Bornasco, en route to being deported to Germany, he was killed during an unsuccessful escape bid, along with the communist Raffaele Pieragostini. 85. Paolo PSALIDI: Born in Verona on 23 March 1895; silk-screen printer and baker. 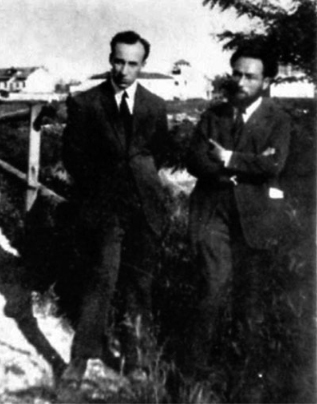 Following the First World War, he, with Domaschi and Bravo, belonged to the Veronetta workers’ anarchist group. In 1930, he slipped out of Italy and into France before settling, after 1932, in Spain, in Barcelona. When the civil war broke out there, he got involved as a militia. In 1939 he re-entered France where he was sent, first, to the concentration camp in Argelès-sur-Mer and later to Gurs. Transferred to a French labour company, he was deported to Germany following the armistice and forced by the Germans to work near Leipzig. At the end of 1942 he was repatriated to Verona. He was issued with a caution and then went on to be active in the Resistance. He died in Verona a few weeks after the Liberation, on 21 August 1945. 86. Italo RAGNI: Born in Campagnatico (Grosseto) on 4 June 1900; labourer and bricklayer. A Spanish Civil War veteran, he was arrested in Paris on 21 June 1939 and placed in an internment camp in the south of France and was later handed over to the Nazis and transferred to the Mauthausen concentration camp where he met his end on 6 May 1941. 87. Umberto RASPI: Born in Volterra (Pisa) on 2 August 1899; machine operator. Returned from the Spanish Civil to his homeland and was sentenced to banishment, first to Ponza and then to the Tremiti islands. On his return to Genoa, he took part in the Resistance. He was arrested in Sestri (Genoa) and deported, initially to Bolzano and then, on 5 October 1944 (on Transport No 90) to Dachau, arriving there on 9 October. On 27 October he was moved from Dachau to Buchenwald and from there to the Bad Gandersheim sub-camp. Prisoner No 113495, then 94480. Classified as a category Schutz, before being reclassified as category Pol. On 4 April 1945, just a few days before the Allies arrived, he was shot by the Nazis. 88. Pietro REPETTO: Born in Sestri Ponente (Genoa) on 26 October 1912 into a family with libertarian, antifascist tradition (his father was a well know anarcho-syndicalist). He worked at the Fossati Ansaldo plant in Sestri Ponente, was a regular attender of libertarian circles and after 8 September 1943 he came into contact with the Genoese Communist Party’s underground apparatus, taking part in a number of fire-fights with the German occupation troops. Arrested at his own quarters in January 1944, he was held in Marassi prison and added to the transport leaving Genoa on 16 January 1944 (Transport No 20) and transferred to Dachau, arriving there sometime between 19 and 20 January. Prisoner No 61949. Category Schutz prisoner. Liberated from Dachau on 29 April 1945 by American troops, he returned to Italy at the end of the following month. In the years following the end of the Second World War, he remained active within the PCI (Italian Communist Party) and in 1948 was involved in the riots that followed the attempt to assassinate Togliatti. 89. Giacinto Alfredo REPOSSI: Born in Turin on 20 February or 20 August 1894; machine operator. A veteran of the Spanish Civil War, he returned to France and was arrested there on 30 October 1940 by the Nazis and deported to Germany, to a labour camp in Hinzert. Then, in February 1942, he was handed over to the Italian authorities and, upon his return to Turin, he returned to work, taking part in the Resistance. Arrested in Turin early in March 1944, he was then deported to Mauthausen on 20 March, before being transferred to Gusen (Mauthausen), and then to Schwechat-Floridsdorf (Mauthausen). Prisoner No 59095. Classified as category Schutz prisoner. Died in Wien-Schwechat (Mauthausen) on 30 May 1944. 90. Modesto Vulgo Angelico RICCI: Born in Casette (Massa) in 1921; quarryman. Deported to Germany, he survived, albeit that at the time of the Liberation he weighed only 35 kilos. On returning to Carrara he resumed his place in the libertarian movement, taking part in the activities of the local ‘Gino Lucetti’ Cultural Circle. Died in Carrara on 16 February 1983. 91. Ernesto ROCCA: Born in Borzoli (Genoa) on 8 October 1893; labourer. Belonged to the underground cells of the Libertarian Communist Federation (FCL). He was arrested in August 1944 and deported to Flossenbürg on 7 September 1944. Prisoner No 21792. Classed as a category Schutz prisoner. Died in Flossenbürg on 20 January 1945. 92. Spartaco SANNA: Born in Turin on 2 January 1925; stoker. The son of an anarchist from Iglesias who had moved to Turin to avoid fascist harassment, he was captured by the Germans and deported to Germany, to Mauthausen, on 114 January 1944 before being moved to Gusen (Mauthausen). Prisoner No 42303. Classed as a category Pol prisoner. Died in Gusen (Mauthausen) on 19 December 1944. 93. Silvio SARDI: Born in Castellina in Chianti (Siena) on 24 September 1901; labourer and painter. On his return from the Spanish Civil War he was interned in the Rieucros (Lozère department, France) camp, but escaped and was rearrested and sent to Le Vernet d’Ariège, before eventually being handed over to the Italian authorities which banished him to Ventotene. Transferred to the concentration camp in Renicci d’Anghiari and then deported to Germany, to Kiel. Place and date of death not known. 94. Angelo SBRANA: Born in Pisa on 11 January 1885, railwayman. After the invasion of France by Nazi troops, Sbrana was captured and interned pending transfer to Germany in the concentration camp in Caen where he died on 1 August 1941 due to maltreatment and the dire living conditions. 95. Bixio SORBI: Born in Massa Maritima (Grosseto) on 1 or 11 August 1897; workman. Arrested in France on 20 September 1943 and held in the special surveillance camp in Le Vernet, he was then transferred to the Dachau death camp, arriving there on 28 August 1944. Prisoner No 94285. Classed a a category Schutz prisoner. Died in Dachau on 8 February 1945. 96. Gino TOCCHINI: Born in Livorno on 21 October 1901; labourer. Arrested in Fuececchio on 8 March 1944 along with his brother Alfred as part of a Republican National Guard round-up following a general strike, and held in the Scuole Leopoldine in Florence. Tranferred to Mauthausen on 11 March 1944 and classed as a category Schutz prisoner. Prisoner No 57435. While in prison he was deployed as a worker. He was later transferred to Zemet-Ebensee (Mauthausen) where he died on 17 May 1945, after the war had ended. 97. 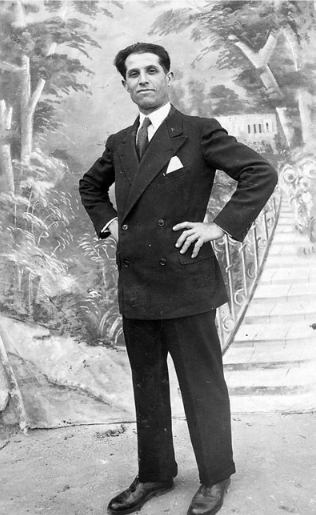 Giuseppe aka Peppino TOTA: Born in Canosa di Puglia (Bari) on 16 April 1918; labourer and bricklayer. Captured by the Germans in Yugoslavia in September 1843 along with his unit, classified IMI and deported to Germany. Committed to a forced labour camp (Stalag), he was to regain his freedom on 5 May 1945. Died in Canosa di Puglia (Bari) on 5 January 2010. 978 Gaetano TRIGARI or TRIGERI: Born in Granarolo Emilia (Bologna) on 10 October 1895; mechanic and blacksmith. On returning from the Spanish Civil War he was interned in the (French) camps in Argelès-sur-Mer, Gurs and Le Vernet d’Ariège. In 1941, he was brought back to Italy and sentenced to banishment on Ventotene. Freed following the collapse of fascist rule, he returned to Bologna where he worked with the Resistance. Arrested in Bologna on 19 September 1943, he was held in the S. Giovanni in Monte prison in Bologna, then in Castelfranco Emilia and Verona. He was deported to Dachau on 2 March 1944, only to be transferred to Natzweiler sometime between 13 and 16 March 1944. He was liberated by the Americans on 5 May 1945. Prisoner No 64815, then 8420, then 91269. Classed as a category Schutz prisoner. Died in Bologna on 6 October 1957. 99. Federico UBERTI: Born in Rome on 4 May 1890; shoe-maker and nurse. A veteran anarchist, on reord as such even in the days of Giolitti, he played an active part in the ventures of the Roman libertarian movement. He was arrested in the 26 December 1943 dragnet operation and on 5 January 1944 was loaded on to a train (Transport No 16) bound for Germany, along with a number of other Roman anarchists, including A. Bianchini, G. Bianchedi, G. Cimaroli, G. De Giuli, B. Di Flavio, A. Di Giacomo and G. Gallinella. He arrived in Mauthausen on 13 January 1944. Prisoner No 42212 or 42213. Classed as category Pol. prisoner. He was later moved to the Schlier-Redl-Zipf sub-camp and then to Solvay-Ebensee and finally to Erholungsheim-Hartheim (Mauthausen) where he died on 5 February or 5 October 1944. 100. Giuseppe VENUTI: Born in Povoletto (Udine)on 29 April 1901; labourer. On his return from the Spanish Civil War he was interned in 1939 in the St Cyprien, Argelès-sur-Mer and Grus camps (France). He was later deported to Germany to a location unknown. Place and date of death not known. 101. Elio VIMINI: Born in Pesaro on 13 May 1906; pastry-cook. On returning from the Spanish Civil War and re-entering France, he took part in the Resistance. Arrested by the German police, he was then deported to Germany to a location unknown. Date and place of death not known. 102. Giuseppe aka Mario VISCONTI: Born in Turin on 22 September 1922; post office clerk. Because of the outbreak of the Second World War, he was forced to break off his legal studies and in 1942 he joined the navy and was assigned to a company which was seconded into he US army in the wake of 8 September 1943. The following year, he was captured by the Germans who shipped him off to a prison camp in Germany, having registered him as IMI. Following the Liberation, he returned to Turin and found work with the post office. After briefly joining the PRI (Italian Republican Party) he joined the libertarian movement in which he was active up until the end of the 1950s. After that he appears to have dropped out of all political activity. Died in Turin on 4 December 2007. “Reading through Franco Bertolucci’s ‘List of Italian Anarchists Deported to Germany’ (No 415, April 2017) I came upon the entry regarding my own cousin Giorgio at No 56 and would like to clarify a few points. (Franco can make whatever use of these he deems fit). First of all, there is the birthdate: it should be 27 May 1924 (the 29 September birthdate mentioned belongs to a different individual of the same name). Giorgio was the son of Egidio, my father Egisto’s younger brother and after receiving compulsory schooling he was brought up in my father’s artisan shop. He was very pally with my own brother Minos (they were pretty much the same age, Minos having been born in 1922) and in early 1944 they both made up their minds to join the ‘Gino Bozzi’ partisan unit which was operating in the Appennines locally. On 17 April, as a result of a tip-off, the Bozzi unit walked into an ambush set in the Treppio neighbourhood. In the course of the ensuing fighting, Giorgio was slightly wounded and, finding himself cut off from the unit, he retreated in the direction of Emilia, under cover provided by a machine-gun manned by Magni Magnino, who sacrificed his own life to allow the rest to get away. Giorgio managed to get away and, under cover of darkness, rejoined his family in Pistoia. As they fled, members of his unit were obliged to dump their rucksacks and inside one of these the Germans discovered some documents containing the names of some of the partisans and some auxiliaries, among them the names of Giorgio, Minos and my father Egist0. Teams were quickly dispatched to capture those named, but they only found Giorgio who was arrested on the morning of the 18th. The repubblichini [supporters of the fascist Salò Republic] also raided our home, but found nothing, as the house had been destroyed by an air raid that March and no one knew where we had been evacuated to. Then it occurred to the fascist commanders to extract that information from my cousin and, when he refused, they started torturing him, until he gave in on the morning of the 19th. Two lorryloads of fascists and two cars (one of them containing Giorgio who had been wounded and tortured) were quickly dispatched to where we were living as evacuees. They did not find us there, because we had left, I, my father and my mother having taken to the mountains, making for the home of someone who had connections to the unit, in search of news of our loved ones. On our way back down, a peasant and a stone-breaker we had bumped into along the way told us that a patrol of repubblichini had passed through hot on our heels looking for us, but that they had directed them down a trail other than the one we had taken. My father took cover in the woods overlooking the house where we were living and I and my mother headed for home. My mother was questioned for hours on end, but managed to put a lid on the situation by saying that my father had gone off to fetch some timber to work on and would be back the next day. The officer in charge warned my mother not to set foot outside the house, saying that he would be positioning several men to keep an eye out, with orders to open up on her if she so much as thought of leaving. I was a boy then, coming up to 11 years of age (I lived in the mountains until I was 22) and I began to nose around the lorries and the cars, cashing in on the fact that the repubblichini were paying no attention to me. In one of the cars, I spotted Giorgio. I cannot tell you how shrunken he seemed, but even after all the years since, his face still haunts me; in a whisper, he asked after my father and I told him that he was safe. Then he said to me: “That’s a great weight off my conscience. I have undergone so much and couldn’t hold out to the bitter end.” At which point a fascist who showed up shooed me away and that was the last time I ever set eyes on my cousin. I won’t dwell on how I and my mother managed to slip through the guards mounting watch on the house that night and fled into the mountains. My father rejoined us within hours. After many ups and downs, we made it to some relatives in Florence, who hid us in their home. My father set off in search of comrade Augusto Boccone, a baker, who supplied us with the bread we survived on during the time we spent in Florence. Things turned out well for us, but not for poor Giorgio. IMI – Italian military internees. Pol – detained for political reasons. Schutz – held in preventive detention, for security reasons.